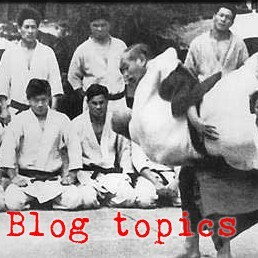 In my syllabus I refer to the BJJ guard as the Japanese Judo technique, dojime. In our BJJ-inspired descent into ever more technical guard-work it can be easy to forget about the sheer, gruesome, bone-rending vice that is the original intent of dojime. Make no mistake. This technique creates enough mechanical advantage to squeeze the oatmeal out of both ends of the victim, pushing rib bones and organs along for the ride. As such, dojime is illegal in randori and competition and you guys had better not try to play this thing at my dojo. But as a reminder of the intent and potential of this technique, while we practice the technical "guardwork," we call it dojime instead of "the guard." Whenever you hear me refer to the guard as dojime, stick a mental Post-It in your brain so you can remember that then the grits hit the fan, you might want to crush the ever-lovin' snot out of your enemy. 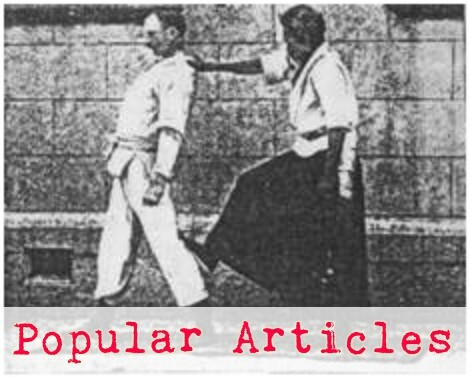 Following are a couple of demonstrations of dojime (the body strangle) and a fundamental way to break dojime.